Looking for ways to help our coastal communities in the aftermath of Hurricane Florence and Tropical Storm Michael? Check out our guide to events across the state. Do you know of an event that will benefit Hurricane Florence or Tropical Storm Michael relief efforts? Submit it here. It’s been a month since Hurricane Florence hit North Carolina, and the storm’s devastating effects are still being felt in communities throughout the eastern part of the state. The hurricane also closed attractions and forced the cancellation of some — but not all — festivals and events that were planned for this fall. Wondering if your favorite festival is still taking place? We’ve compiled a list of coastal events throughout October and November that are still on — plus a list of events from across the state that will benefit relief efforts. Head to the Greenfield Lake Amphitheater for a free concert, and donate to support rebuilding efforts in the community. All proceeds will benefit local charities that assist with emergency food, housing, and home repairs through United Way of Cape Fear. Celebrate Wilmington’s tight-knit community with live music, refreshments, and creative local businesses. A downtown concert featuring regional bands is free, but guests can donate to support hurricane recovery. Enjoy a performance by mezzo soprano Mary Gayle at the Wilson Center, and donate nonperishable food items to the Food Bank of Central and Eastern North Carolina for Hurricane Florence relief efforts. Those who donate will be entered to win two tickets to WSO’s Symphony Pops! concert on March 16. Bring a lawn chair to Middleton Park and help victims of Hurricane Florence by eating food truck fare, enjoying live music, and participating in a silent auction that benefits local businesses. All proceeds will be donated to Brunswick Family Assistance. Although the North Carolina Seafood Festival was cancelled due to storm damage, organizers still wanted to do something for the city. At this hurricane relief benefit, there will be live music all day, food vendors, and more in Jaycee Park. Proceeds will help pay for hurricane victims’ utility bills this winter. The Avett Brothers will partner with Future Islands and Valient Thorr, bands with North Carolina connections, for a performance at Minges Coliseum. All concert proceeds will be donated to people and organizations participating in recovery efforts. Work on a project at DIY wood studio Hammer & Stain and give back at the same time. Half of all project sales will be donated to no-kill animal shelters and other humanitarian efforts assisting with Hurricane Florence relief. Eat, drink, and be merry with Transfer Company Food Hall to benefit the Food Bank of Central and Eastern North Carolina and the Core Sound Waterfowl Museum and Heritage Center. Each of the organizations is working closely with communities heavily damaged by Hurricane Florence. At the Durham Farmers Market, help assemble flood buckets and hygiene kits for North Carolina families affected by Hurricane Florence. To help, bring gloves, trash bags, dish detergent, and travel-size toiletries. Enjoy an afternoon spent listening to SonRise Band and 2nd Generations Bluegrass Gospel Band at Deep Creek Outfitters to raise money for areas still recovering from Hurricane Florence. Head down to Sugar Magnolia Café and take part in a night of painting. A portion of proceeds will be donated to North Carolina coastal cities for rebuilding efforts. Come to Breathing Space Yoga Studio to take part in a variety of mini classes like meditation and sound healing. Bring donations for organizations aiding Hurricane Florence survivors. Craig Schulman, who has performed in musicals such as Les Misérables, Phantom of the Opera, and Jekyll and Hyde, has organized a group of performers to sing their favorite show tunes at Meymandi Concert Hall. All ticket sales and donations will be given to hurricane recovery projects and victims. Take part in a four-course dinner at Mulino Italian Kitchen & Bar to raise money for Hurricane Florence relief. Cox’s Double Eagle Harley-Davidson will donate $250 to the American Red Cross for every new or used motorcycle purchased. Participate in horse classes and watch an equestrian show at the Thoroughbred Training Center. Proceeds will benefit five small family farms in eastern North Carolina that were damaged by Hurricane Florence. Gather a few friends and bring your wooden baseball bats to Tramway Park. All ages are welcome, and tournament proceeds will benefit Hurricane Florence disaster relief. Enjoy an afternoon of entertainment and share a few laughs as you listen to Robertson at the Vailtree Event Center. All proceeds from the event will be donated to the American Red Cross to assist victims of Hurricane Florence. Snack on food from some of the best restaurants across North Carolina while sitting at a 1,000-person table on Fayetteville Street. Proceeds from food and festivities will benefit veterans and hurricane recovery. Comedian Aziz Ansari, who grew up in South Carolina and whose parents now live in North Carolina, will perform at the Thomas Wolfe Auditorium. All proceeds will be donated to the Habitat for Humanity Hurricane Florence relief fund. Come by PennyCup Coffee Co. dressed in your Halloween costume for prizes, snacks, dancing, music, drinks, and more. Proceeds from the event will be donated to those affected by Hurricane Florence. Dan + Shay will kick off this festival with a concert on Friday evening. On Saturday and Sunday, enjoy a beer garden, amusement rides, a boat show, street performers, food vendors, and races downtown near the waterfront. It’s been 300 years since Blackbeard met his fate off the coast of Ocracoke. In honor of its most infamous former resident, Bath will host this two-day festival at Bonner Point. There will be fireworks, music, food, a parade, a pirate encampment, an epic sea battle, historian talks, and much more. In honor of Chowan County’s 350th anniversary, take a tour through historic downtown as a guide tells haunting ghost stories. Walk along East Second Street, which will be filled with food, music, and crafts, and compete in a variety of oyster-themed competitions. This festival will feature a juried arts and crafts competition, with more than 100 regional artists selling and displaying their work. There will also be live entertainment, food and drink, and games and rides for children. Celebrate Oktoberfest and oyster season at this event at Wrightsville Beach Brewery, which will combine an oyster roast with German food and seasonal brews. Celebrate Ocracoke Island’s pirate heritage with a weekend of swashbuckling fun. The Jamboree includes a historically accurate pirate encampment and a reenactment of Blackbeard’s infamous last battle. During this three-day craft show — one of the oldest in the state — visit with more than 60 guild artists, who will be selling their wares and demonstrating their crafts at the Knobbs Creek Recreation Center. Compete in the arm wrestling, stein-holding, and polka dancing competitions in between ordering Bavarian bites and pints. Children are encouraged to come to the museum in costume and collect candy and goodies from local sponsors. Celebrate the North Carolina spot fish at this annual festival featuring beach music, arts and crafts, kids’ rides, and fireworks. This husband-and-wife duo — Colombian guitarist Daniel Gaviria and American soprano Sarah Cullins — will combine classical training with traditional Latin American and Spanish folk rhythms in a performance at the River Dunes Harbor Club. Celebrate traditional Mexican foods, games, art, and dance at this free festival in Ocracoke Village. This 64th annual two-day festival will celebrate the delicious mullet fish. Every year, a parade down NC Highway 24 kicks off the event, and patrons enjoy food, crafts, and music. Support eastern North Carolina waterways and enjoy unlimited steamed oysters, a silent auction, live music, and craft beer at this annual gathering at the Washington Civic Center. Honor our nation’s veterans at this parade down Front Street, beginning on Red Cross Street and ending on Orange Street. All veterans are welcome to participate. Celebrate Windsor’s 250th anniversary with a historic homes tour, starting with the Hope Mansion and lunch at the Historic Hope Plantation and followed by a self-guided tour of nine other sites. Watch Buster Keaton’s silent film One Week as you listen to songs from your favorite movies, including Gone With the Wind, The Pink Panther, Dances With Wolves, Batman, and more. Enjoy shopping, dining, music, and a live Nativity in downtown Belhaven. The Wilkinson Center will host the fifth annual Christmas Craft Show, which will feature a variety of vendors. For one day, the Beaufort Historic Site will turn into a community market, and will be filled with art, antiques, clothing, and food. 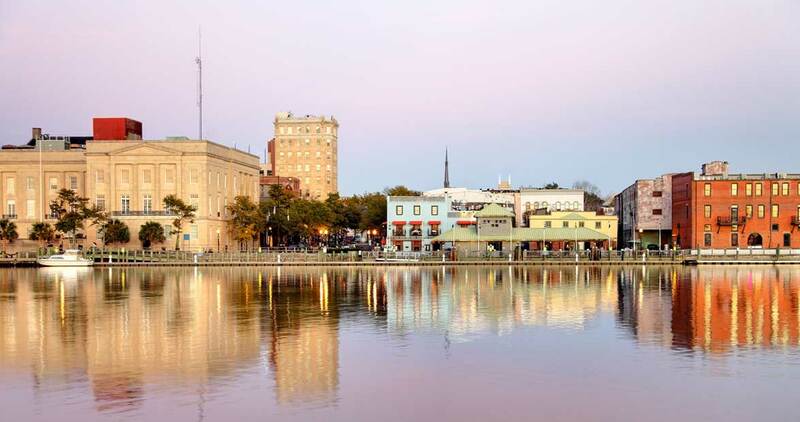 Stroll through Swansboro by candlelight, admire the festively decorated storefronts, and enjoy live entertainment and dinner in the town square. Enjoy a traditional turkey dinner at the Beaufort Historic Site. All food will be provided by local restaurants. People will line the Intracoastal Waterway at dusk to watch a parade of boats and enjoy a cup of hot cocoa or cider. Prizes will be awarded to boats decorated in the holiday spirit.